Paul Seawright is internationally renowned for his photographic work in areas of conflict. Whilst this subject matter parallels that of the photojournalist, the artist’s approach is allusive rather than documentary; he uses the camera to isolate and draw attention to detail rather than depicting easy narratives. 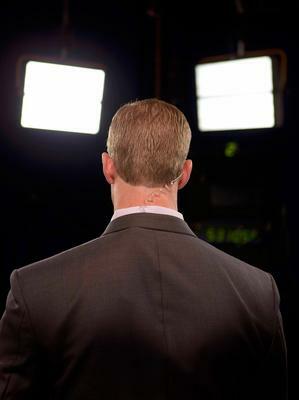 In his most recent work, Seawright investigates television studios which create the news bulletins about current wars. The virtual rapprochement between the TV viewer and the victims is belied by sensational representation that ultimately distances and desensitizes. Exhibited for the first time here at the CCI, these photographs are put in context by a selection from previous projects in Afghanistan (Hidden, 2002) and Northern Ireland (Sectarian Murder, 1988). Paul Seawright is Professor of Photography and Head of Belfast School of Art at the University of Ulster. His work in Afghanistan was commissioned by the Imperial War Museum in 2002 as part of the War Artist commissions and has been exhibited in over twenty countries. His photographs are held in many museum collections including The Tate in London, San Francisco Museum of Modern Art, the Art Institute of Chicago, International Centre of Photography New York, Portland Art Museum, the Art Gallery of Ontario, Arts Councils of Ireland, England and N.Ireland, UK Government Collection and the Irish Museum of Modern Art.